It looks like the Wall Street Journal - or rather, two Clinton world politicos who published an op-ed on the subject late last year - had it right: Hillary Clinton is seriously considering a third bid for president, according to CNN political correspondent Jeff Zeleny. Clinton is reportedly telling friends and associates that she "hasn't closed the doors on a third presidential bid" after losing the 2008 Democratic primary to Barack Obama and then the 2016 presidential election to President Trump in one of the most spectacular upsets in the history of US politics. Of course, this doesn't mean that there's a "campaign-in-waiting" for Clinton, but it appears some low-level work is already being done to refurbish the Clinton machine. 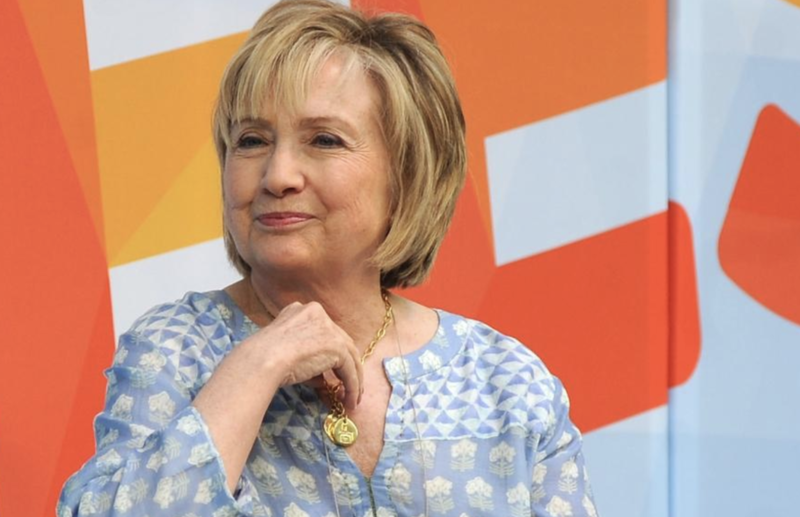 Lest anybody think Clinton's delusions of fulfilling what has been a life-long dream for the former first lady are unusual, CNN pointed out that actually many losing presidential candidates never truly rule out another run (take John McCain - or Richard Nixon - for example). Most losing presidential candidates never totally close the doors to running for president" again, Zeleny said. "But I think we have to at least leave our mind open to the possibility that she is still talking about it. She wants to take on Trump. Could she win a Democratic primary to do it? I don't know the answer to that." And while her numbers are well below those of Joe Biden and Bernie Sanders, she still outperformed many of her would-be primary rivals in the first polling for the Iowa caucuses. She's already polling ahead of Elizabeth Warren and Kirsten Gillibrand, and is only one spot below Kamala Harris. All of this suggests that SNL was correct when it joked that Clinton would continue running for president until she either dies or finally wins.